The St. Charles West Bank Multi-Use Path received $946,000 in Transportation Enhancements funding from the American Recovery and Reinvestment Act of 2009. 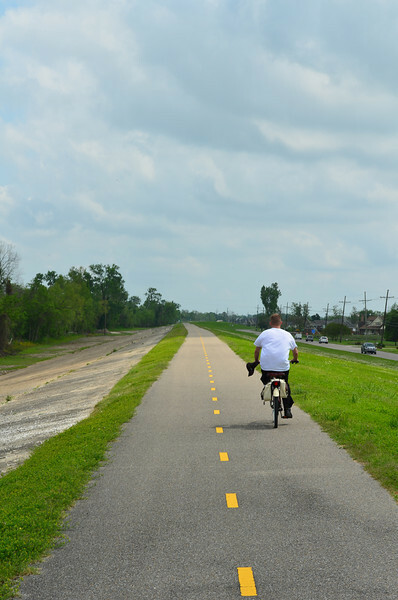 The money went towards the construction of a 6.2 mile multi-use path along the west bank of the Mississippi River stretching from Hahnville to Luling. In addition to the $946k, St. Charles Parish contributed another $200,000 for the project. The design was originally done in 2002 when the project was approved by the Louisiana Department of Transportation and Development but was not put out to bid until years later. Boh Brothers Construction Co, L.L.C. bid around $1.3 million to complete the project. They were able to complete the project in approximately 45 days. The path offers a great opportunity for nearby residents to travel safely while taking in the beautiful views of the Mississippi River.